Orthopedic surgeons specialize in surgeries associated with the musculoskeletal system. They are trained to operate on our skeleton and its attachments, like joints, ligaments, tendons, and their surrounding muscles and nerves. They may either perform all general surgeries related to the musculoskeletal system or have a specialization. 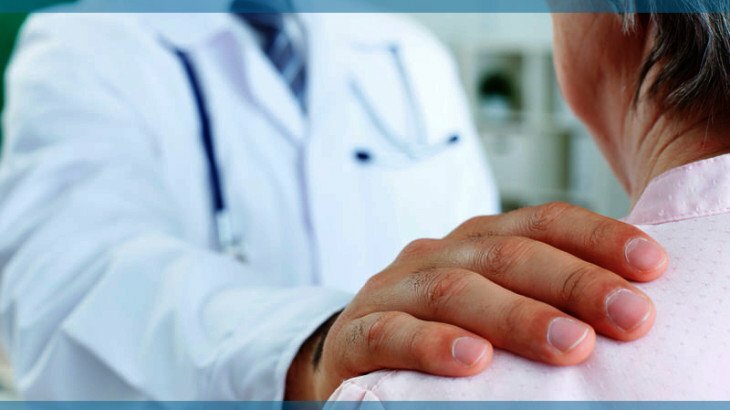 For instance, an orthopedic surgeon may specialize in bone fractures due to trauma; joint replacements and disorders; bone tumors; developmental anomalies of the bones or disorders of the spine. An orthopedic surgeon needs to investigate and diagnose the presence of a disease or condition; propose a treatment plan; and explain the ailment and the recommended treatment or procedure to the patient. The treatment plan may involve medications, rest, exercises, physiotherapy or surgery. To be an orthopedic surgeon in India, one needs to first acquire an MBBS degree, which is a 5.5 years degree course, and an MCI (Medical Council of India) registration. Following this, the candidate has to get admissions in MS Orthopedics (a specialization in orthopedic surgery), which is a 3-year specialization. A tremendous amount of hard work and perseverance is needed to become a specialist. Nearly 10 years of education and training becomes the stepping stone to carve one’s identity and it takes several more years to obtain recognition as an experienced orthopedic surgeon. It is important to recognize and respect the dedication this profession demands. It is a common practice for orthopedic surgeons to operate in conjunction with other specialists, such as neurosurgeons, pediatricians or cosmetic surgeons. For instance, in the case of a spine injury, damage or pressure on a nerve during surgery may lead to numbness and sometimes paralysis of a body part. In such cases, the presence of a neurosurgeon may be necessary. In cases with gross laceration of soft tissue along with fracture, a cosmetic surgeon’s contribution may be required. Similarly, if a child has a fracture, the expertise of a pediatric surgeon is sought. An orthopedic surgeon may take up further studies and practice, to become a neuro-spine specialist, a pediatric or a cosmetic orthopedic surgeon. An orthopedic surgeon is trained in a variety of procedures. Reconstruction, traction, amputation, joint replacements, arthroplasty, bone grafting, fracture repair, arthroscopy, osteotomy, internal fixation, and spinal fusion to name a few. Osteoarthritis – a degenerative condition causing gradual wear of joints. Osteoporosis – reduced bone mineral content, making them prone to fractures. Osteonecrosis – a condition in which reduced blood supply to bones causes them to collapse. Rheumatoid Arthritis – an autoimmune disease causing joint pain, swelling and stiffness. Tennis Elbow – also known as lateral epicondylitis, is degeneration of a tendon attachment on the lateral part of the elbow. Accessory Navicular Syndrome – in which an extra bone or cartilage on the inner side of a foot (mostly asymptomatic) may become painful due to overuse or trauma. Achilles Tendinitis – pain or swelling above the heel due to rupture of the Achilles’ tendon. Adult Acquired Flatfoot – a painful condition which develops in adulthood, leading to a collapse of the arch of a foot. Biceps Tendinitis – inflammation of tendons in the upper biceps causing tenderness in shoulders. Bunions – a painful swelling of a joint in the big toe. Bursitis – inflammation of the bursa (a lubricating fluid-filled sac present between the tissues in a joint). Carpal Tunnel Syndrome – numbness in the hand accompanied by pain while gripping objects due to compression of a nerve (median nerve) near the wrist joint. Cubital Tunnel Syndrome – numbness in the ring and small fingers along with pain in forearms due to stretching of a nerve (ulnar nerve), at the inner side of the elbow. Bakers Cyst – also known as a popliteal cyst, is a fluid-filled pocket behind the knee formed due to meniscus (a knee cartilage) tear. Osgood-Schlatter Disease – pain and swelling below the kneecap. Dupuytren’s Contracture – thickening of skin underneath the palm, limiting range of motion in fingers. Ganglion Cysts – is a lump which grows at the back or front of the wrist or fingers. Hallux Rigidus – degenerative arthritis of the big toe. Hammer Toe – a condition in which the second, third and fourth toes are bent at their middle joints. Knee Articular Cartilage Conditions – pain and swelling due to breakdown of the cartilage on overuse or injury. Mallet Finger – inability to straighten a finger due to damage or tear of a tendon (extensor tendon) in the finger, due to injury. Morton’s Neuroma – thickening of tissues surrounding a nerve near the toes, causing pressure on the nerve and pain between the third and fourth toes. Peripheral Nerve Tumors – a lump growing from a peripheral nerve causing nerve damage and loss of muscle control. Sever’s Disease – inflammation of growth plate in the heel bone causing pain in children. Meniscal Tear – a ligament tear in the knee joint. Trigger Finger – inflammation of the tendon which helps in bending a finger. What does an Orthopedic Surgeon’s job demand? To be an orthopedic surgeon one requires attention to detail, dexterity and a complete knowledge of the subject. The job involves long shifts, extended periods of standing, and critical operations beyond standard working hours – this can be physically demanding. Strain or pain in the neck, lower back, and varicose veins. Pain in shoulders, neck, arms, elbows, and upper back due to maneuvering heavy instruments, like drills, mallets, and bone saw or stabilizing heavy body parts of patients. Operating with finer instruments with miniature tools may cause strain in certain muscles in the arms and hands, resulting from repetitive stress. Sleep deprivation and emotional stress are common in surgeons who are into trauma management. Chemicals, such as polymethylmethacrylate (PMMA) – used in arthroplasty. Osteoarthritis, Rheumatoid Arthritis, Sprains and Strains #orthopedic doctor, #orthopedist, Orthopedic Surgeon. permalink. Allergic reaction after knee replacement? Thanks for explaining the role of orthopedic surgeons. It’s great to know that they handle conditions related to bone problems such as osteoarthritis. With that in mind, I might have to consult such a doctor to check my feet. I am experiencing pain on my left feet because it was run over by a wheel of a car years ago. It started to hurt this year when I started running, and I am afraid that there might be problems with my bone there. Thanks for the information! I’d like to thank you for your explanation about an orthopedic surgeon. It really helped when you made a list of the specialization of this particular surgeon. My sister’s foot and ankle are swelling, sometimes, she cannot walk because it’s too painful. I think she needs to see this information. Very good article! Living with continued pain is not easy. A timely operation will help you a lot in getting the best result.